A CTO spans the cervical spine and the upper thoracic spine. 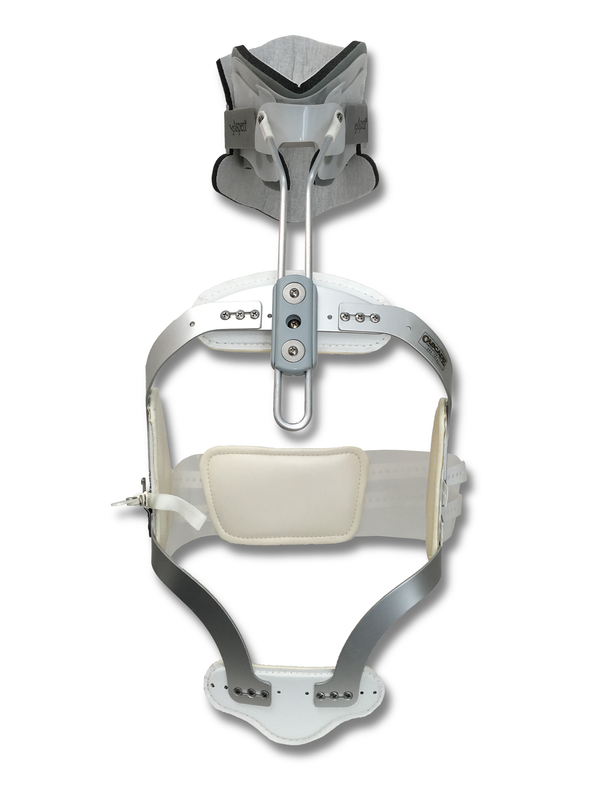 This type of Orthosis is used when a fracture is present above the effective range of a standard thoracolumbosacral Orthosis (TLSO) or below that of a cervical Orthosis. 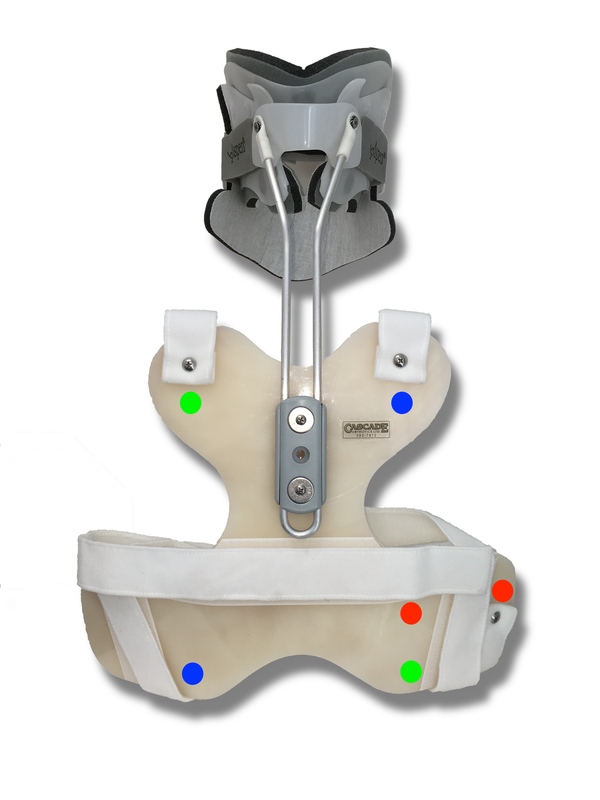 This design is intended to stabilize the cervico-thoracic junction by the addition of a longer lever arm to the cervical collar. While there are numerous types of cervicothoracic Orthoses, we utilize a design that attaches a cervical collar to a plastic anterior plate using an aluminum upright. 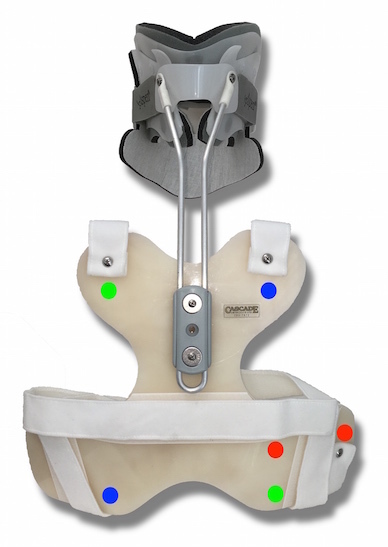 Two straps cross over the posterior at the scapula and attach via Velcro to the anterior plate. A third circumferential strap maintains position with regard to the abdomen. 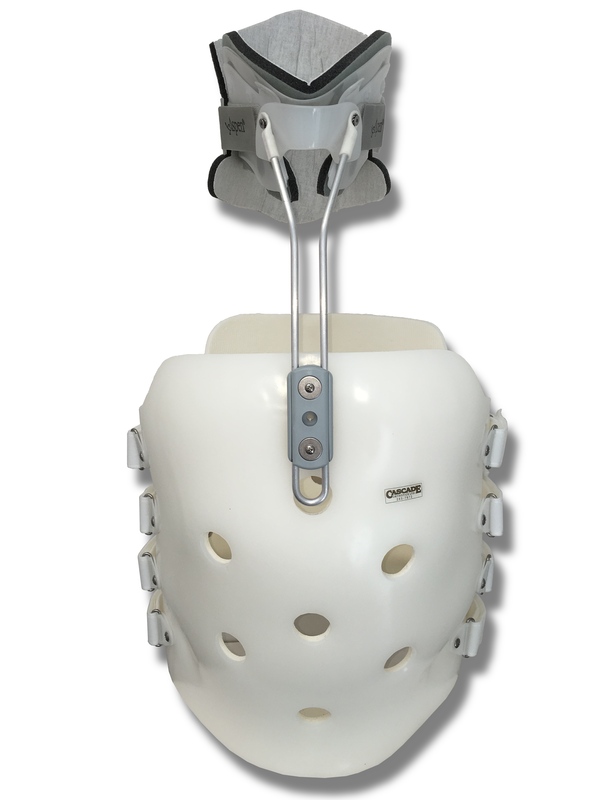 A CTO extension, consisting of a cervical collar and an aluminum upright, can also be added to a typical TLSO (CTLSO) or Jewett (CTO Jewett) in the instance of multi-level fractures in order to extend the functional range of those Orthoses. After spinal reconstruction, once the halo is removed, patients with ankylosing spondylitis are often provided with a CTO for a period of up to 12 weeks as a secondary stabilization or until the Spine Surgeon is satisfied with bony integrity. A CTO is also provided post-Halo-usage in cases where the surgical stabilization ends near the cervico-thoracic junction.